But I wanted mine to be slightly larger than the original Sherlock version and decided the best way to go about tackling my recreation in yarn would be with a graph! Mine, at this point, is still a WiP but I promise to update when I’m all done to show you all what it looks like finished! 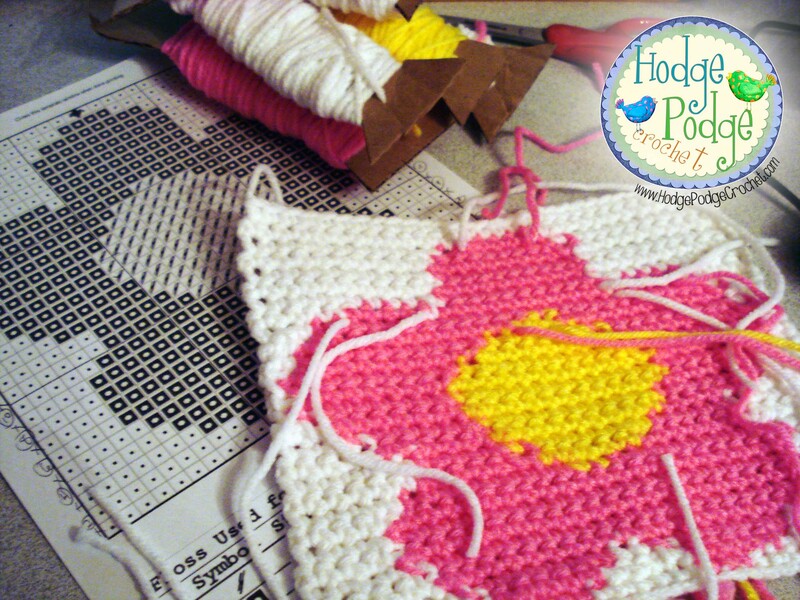 This project is small enough for the newer graphghan crocheter and is a little more challenging than a two colored graph. If you’re interested in creating your own Union Jack Pillow, all you have to do is download a copy, grab some yarn and a hook, and get busy! If you create a pillow of your own I’d love to see pics! 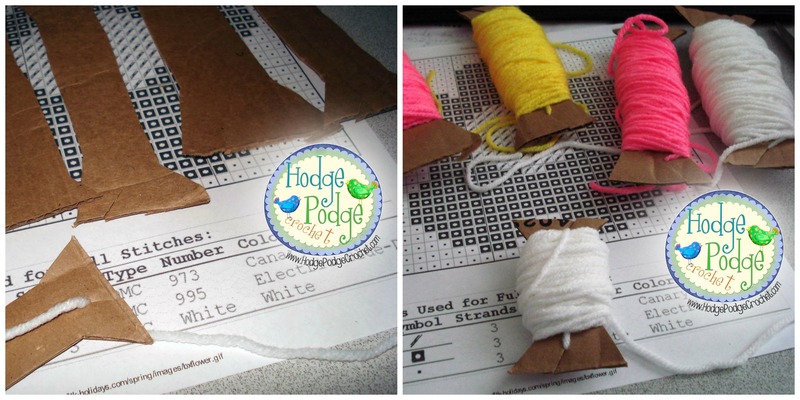 Head on over to HodgePodge on Facebook to show off your stuff! Another BLOG takeover!!! This time, I’d like to introduce my very good friend April! 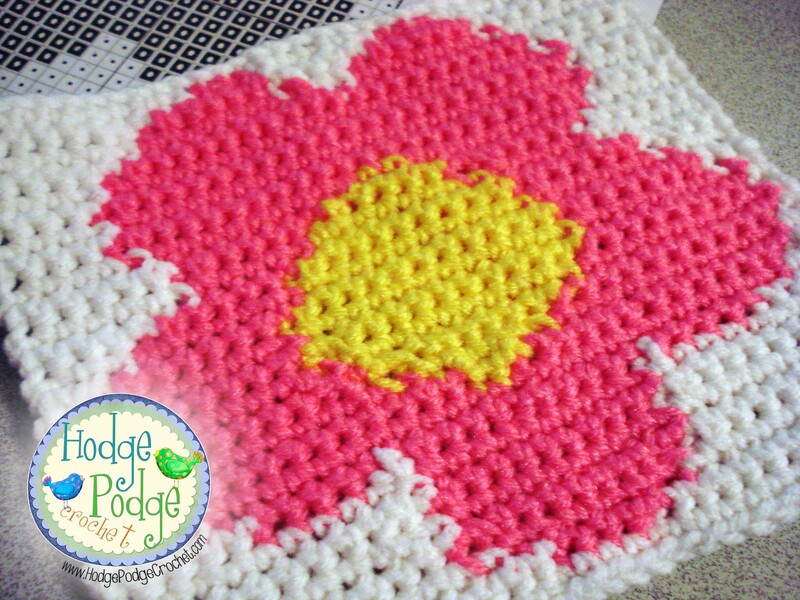 She runs the amazing shop, Open Skye Creations and is a master at all things graphghan. I asked (okay… I BEGGED) for her to explain her process and break it down for the rest of us–and she said YES!! I get tons of questions on a regular basis about my graphs. About how to take a graph and turn it into a blanket or a pillow or a scarf. Let me tell you- it isn’t as hard as you think! 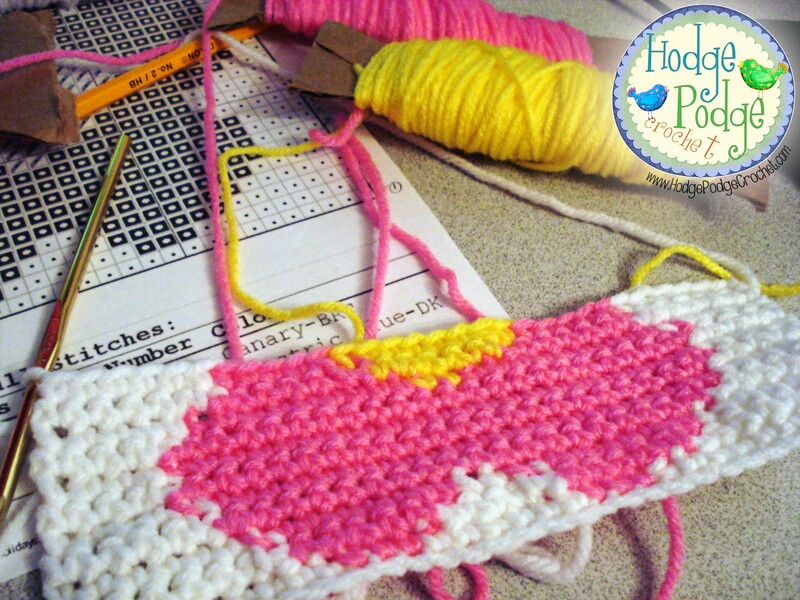 Crochet by Numbers is complicated and can take a very long time. Don’t get me wrong, creating a graphghan can take months to complete. It all depends on your skill level, speed, and time capabilities to spend on working on it. 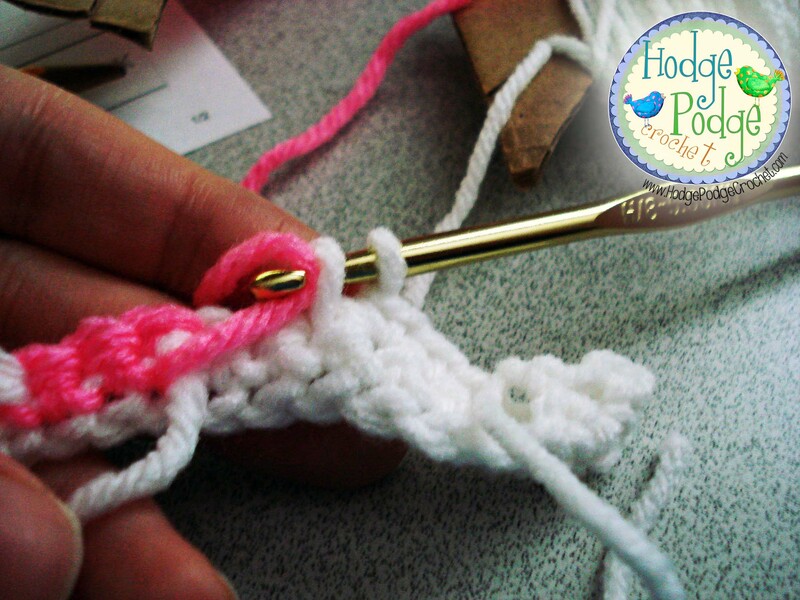 But if you can single crochet and color change you can definitely do it! I’ve put this post together to give you some of my favorite hints and guidelines to completing your own! And if you’re a seasoned pro- you can see how I do mine. Single Crochet, Half-double, Tunisian- it doesn’t really matter. The tips are still the same and hopefully the hints I provide will make sense to you! To start it off- These are the MUST HAVES to completing a graphghan. First you have the hook. I recommend an “I” hook and medium tension while working up a graph. Second you have the graph itself; I always print mine out on multiple pages and tape them together so I don’t go blind while trying to read it. Third I have BOBBINS! I can’t stress enough how much time and energy these puppies have saved me. They help prevent and reduce tangling (nothing you do can eliminate it 100%) and they just make it easier to hold on to. Fourth I have a pen, piece of paper, and a highlighter- note I put them as one item because they’re writing utensils and writing utensils are very important in any crochet project. And then you have the yarn itself. Every graph I sell I include a yarn usage estimator. Keep in mind that not all graphs will have this so make sure you always round up. Having the same lot and dye number is extremely important when working on any crochet project- but especially when you’re working up a graph. The last thing you want is a picture ruined by two conflicting shades of black or red. The picture above shows the lot and dye information in case you don’t know where to look for it. It is always on the yarn label itself! Now here is where things change a little bit. I write out every line of a graph that I’m doing. BEFORE I WORK IT UP. This has multiple purposes. When you write it out, you get a feel for just how much work there is going to be. It also helps tell you how many bobbins you are going to need. Every time you do a color change, you should be changing your bobbins (By changing bobbins every time you prevent having a different color running through the color you’re currently working on and keeps the picture looking clean). It also lets you determine which direction you’re working on the graph. When working on a graph I work from the bottom up. When I do my initial chain +1 (you always sc in the second chain from the hook when you’re working- like the chain 1 and turn scenario) I then work the next row from Right to left. That is my row 1. My row 2 is done from left to right, row 3 from right to left and so on. When you have the rows written out you can use an arrow or other measure to tell you which way to work it up. Now- if you are working it up in Tunisian stitch you are working it up reading from right to left on every row. These are the most common things I encounter when working up a graph, and the questions that people ask when they get me one on one. People always post nice clean photos of their WIPS (work in progresses) but this is hardly the case. They are actually messy- but no one wants to admit that they have a tangled mess of yarn. Don’t worry- its normal! 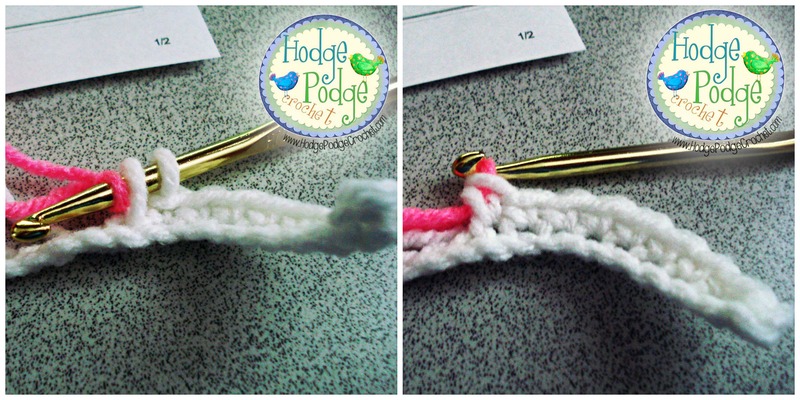 The picture on the left is a graph I worked on that was easy to keep clean and untangled. Note- the bobbins that are nice and orderly at the top!! The piece on the right is NOT clean. And it was done by someone who has done graphs for a long time. Don’t worry about the mess!! You can always fix it later. I get asked a lot how I recommend doing color changes. The best way I can describe it is this. 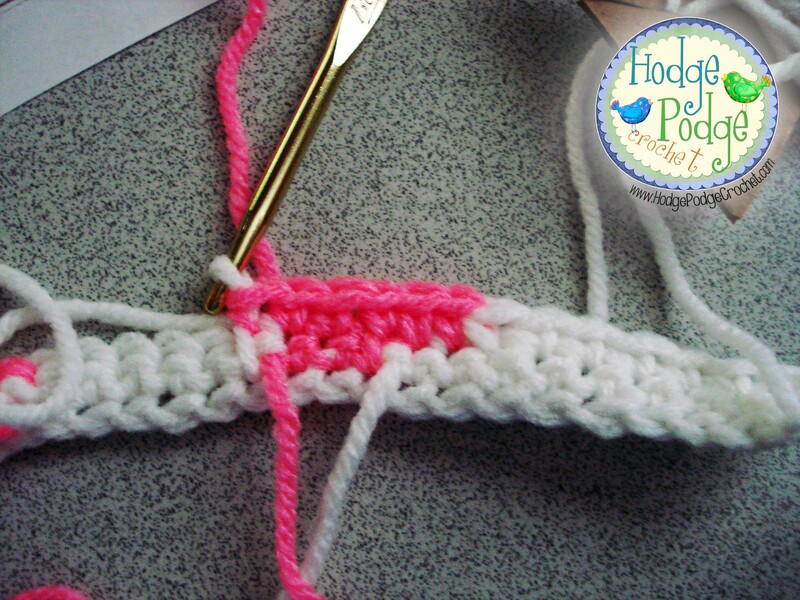 In the LAST SC of the first color you push your hook under the top two strands of yarn and yarn over with the first color; pull back through. Yarn over WITH THE NEW COLOR and complete the stitch. The videos I have a link to below should help with it if you need to see the walkthrough. 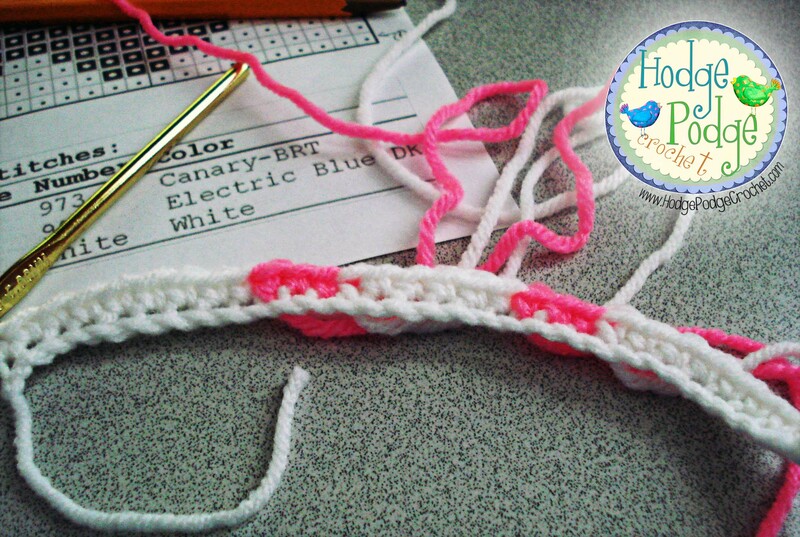 It creates a complete stitch with the first color while allowing you to start your new stitches with the second color. *HELPFUL HINT* I always gently tug on the first color that I dropped to help reduce gaps and keep it from being too (loose) for lack of a better word. Don’t worry if you tug it a little too tight, it won’t mess up as long as you remember that stitch when coming back on the next row. 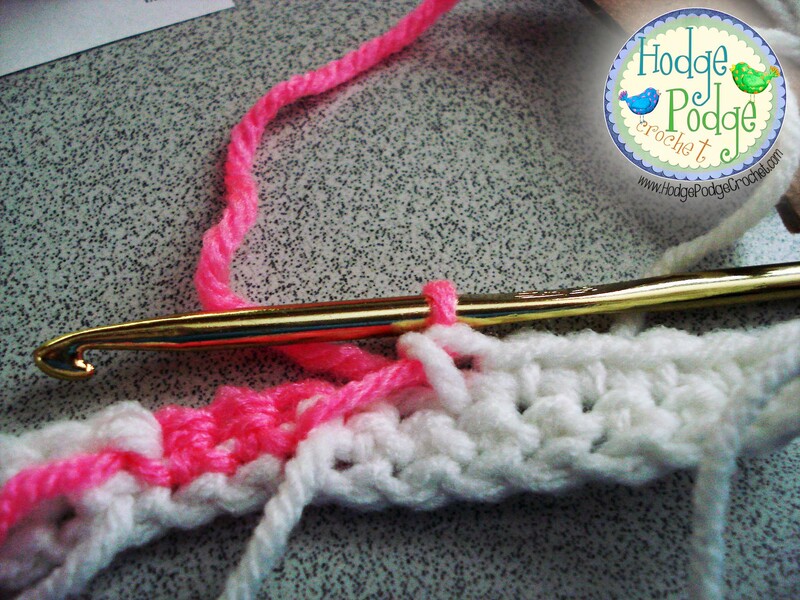 When you’re working a row and bring up the yarn from the previous row, if there is a long strand, crochet over it like you would crochet over your ends when doing a color change in a hat or an amigurumi. I have videos on my youtube page that explain it simply (and in a setting you’ll all know- my lap sitting on my plaid oversized chair!) http://www.youtube.com/user/canavanapril <- that’s my channel. Feel free to watch the videos and subscribe! I know this sounds really bad, and tedious- and really a question that people wouldn’t think to ask- but here it is anyways. At the end of EVERY ROW you chain 1 and turn. If you don’t do this then you’ll end up with different row counts. My last Pinterest blog post was WAY back in June, and I think it’s high time we do another one!! This time, the theme is winter because I love the season, the cold, and all the crafty goodness that comes when people are cooped up inside!! The Shining – USA, 1980. Dir. Stanley Kubrick. Starring Jack Nicholson, Shelley Duvall, and Danny Lloyd. Okay…maybe this is an example of a little TOO much of a good thing but then again, who knows what might have happened in this story if ole’ Jack here had Pinterest to keep him busy! 2. 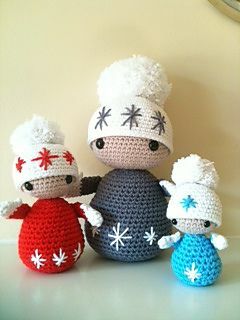 Moms Love Of Crochet has the most ADORABLE Snowman for those of you out there adventurous enough to tackle graphghans! 3. If you aren’t that adventurous (like me!) The Crochet Crowd has you covered with a classic chevron beauty that anyone would love to cuddle up under on a cold winter’s night. 4. Wintertime always brings with it chapped lips, so why not tote your lip balm around in something super cute! 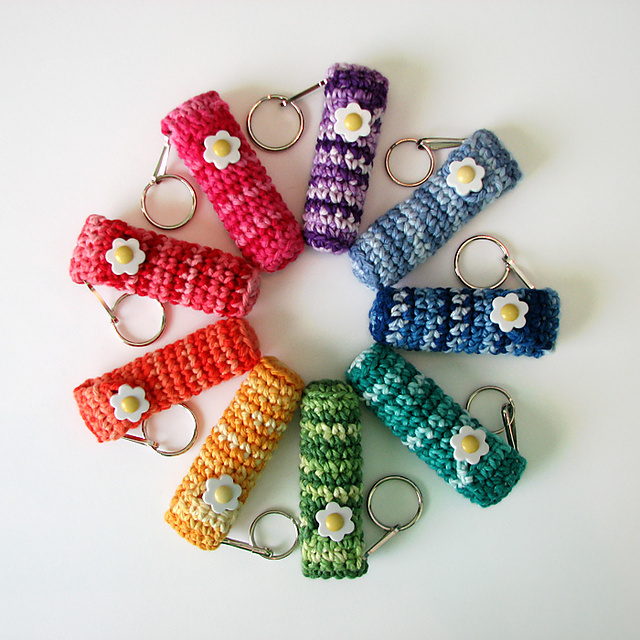 Kristy Ashmore has just what you need with this free Chapstick / Lip Balm Holder over in Ravelry. 5. If you are in the mood for something to play with, head on over to Black Sheep Wools for the cutest family of winter-bound ami dolls you’ve ever seen! 6. I love to grab a shawl to throw over my shoulders when the weather turns nippy and one that has some style and texture just makes my whole day. Wendy Easton‘s Triangular Shawl in Crosshatch Stitch checks all those boxes! Not only is this one a free Ravelry download but she also has a YouTube tutorial explaining how she works it! 7. Free-Crochet.com is home to probably my favorite winter must have: slipper boots! These can be done in any color and are warm, stylish, and did I mention warm?? 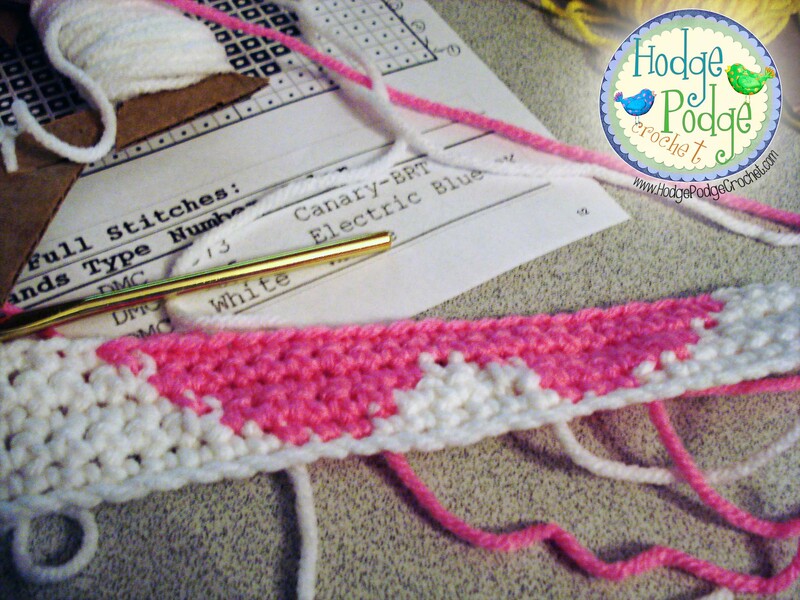 You have to make a free account to download this pattern but it’s worth it! 8. If you REALLY want a pair of slipper boots (and those are a teeny bit intimidating), these alternatives by Denisse Esparza might be right up your alley! If you have a favorite winter pattern, PLEASE SHARE IT in the comments area below!! I’m always looking for cool new things to add to my pin collection!